Welcome to our 2017 season. For our second year we bring you a program packed with world premieres that celebrate family, place and stories. We reflect, we celebrate, we embrace and we also challenge stereotypes on the notion of life and creativity in the West. At the core of our work is heart and belonging, we are different, but yet the same. Join us on our journey. Inspired by the Arabic ancient tradition of story-telling and breaking bread, Hakawati celebrates food, music and the telling of tales. Throw in a little subversion as we hear tales of families, life and love during a series of intimate shows at Parramatta’s award-winning El-Phoenician restaurant. 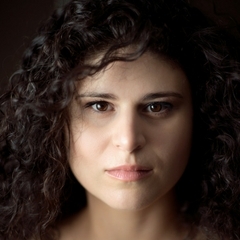 Part of the 2017 Sydney Festival and co-devised by Wayne Harrison AM and Paula Abood. Capacity is limited, find out more here. Co-produced by National Theatre of Parramatta and Griffin Theatre Company, Smurf in Wanderland is one man’s insightful and hilarious examination of football, tribalism, belonging and identity. David Williams is the ‘Smurf’. 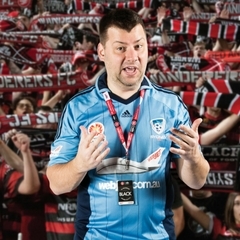 Kitted out in his Sydney FC sky-blue jersey, Williams-the-Smurf stuck out like a sore thumb amongst the sea of red and black. Instead of fearing for his life he found a beautiful and profound unity amongst the ritual and fierce loyalty of the Wanderers fans. Smurf in Wanderland is directed by Lee Lewis, find out more here. 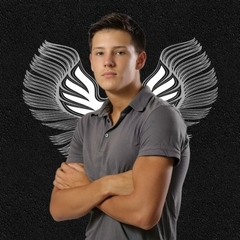 Michael is living in the shadow of his older brother Dom. The biggest guy in the school. Best car in the West. The guy who just can’t help but grab everyone’s attention. The guy with the girlfriend with the huge-arse hair. When he is gone Michael roams the streets, navigating life, friendship, love and family. Based on the multi award winning novel by and performed by local Parramatta author Felicity Castagna, The Incredible Here and Now takes the emptiness and fills it with growth. Find out more here. 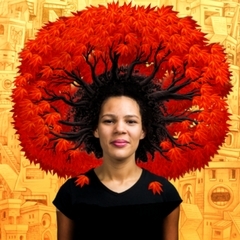 The Red Tree explores the expressive possibilities of shared imagination. Adapted from the multi award-winning picture book by Shaun Tan, National Theatre of Parramatta has commissioned an adaptation to stage by Hilary Bell, directed by Neil Gooding. This production is inspired by the impulse of children and adults alike to describe feelings using metaphor, this new adaptation explores landscapes, buildings, monsters, storms, sunshine and rainbows. These can be strange and familiar, our imaginations or our realities. Find out more here.